MSMS saves you time, increases your revenue and helps you build stronger relationships with your clients. It does all of this through the Millennium software you already use. 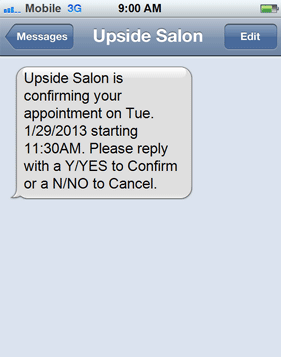 MSMS saves you time by automating your appointment confirmations through text message. Instead of making phone calls, you can spend time focusing on your business. MSMS helps to increase your revenue by reducing no shows. Client responses are sent back to you in real-time and your Millennium appointment book is automatically updated with their reply. 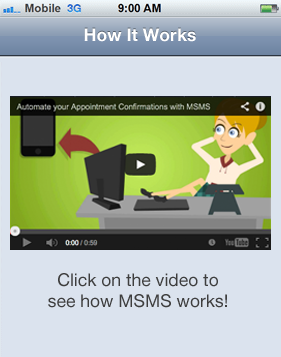 MSMS allows you to create mobile marketing campaigns to reach your clients wherever they are. 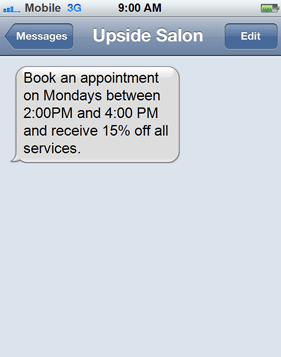 Send out special offers and updates quickly and easily to all of your clients or select lists. 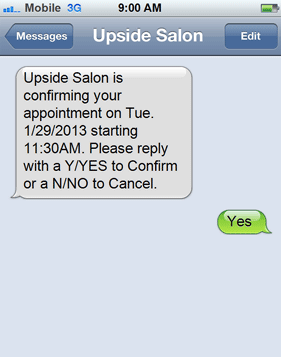 At Upside Wireless Inc. we make text messaging simple. Whether your needs are local or global, our easy-to-use mobile messaging solutions can help you integrate your communications for a variety of strategic activities such as marketing and advertising, communicating with sales people in the field, or increasing the level of your client service. © 2018 Upside Wireless. All rights reserved.